We strongly recommend having this plugin installed and enabled in order to have at least a minimal required level of protection against brute-force, DDoS and other kinds of attacks. For the full list of features, check the official page. 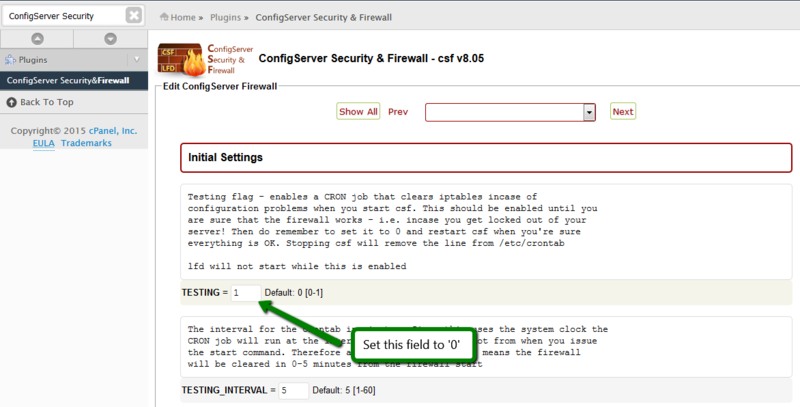 Now in order to enable CSF, proceed to WHM > Plugins section > ConfigServer Security & Firewall. CSF has a lot of various features, we will discuss the most common used ones. 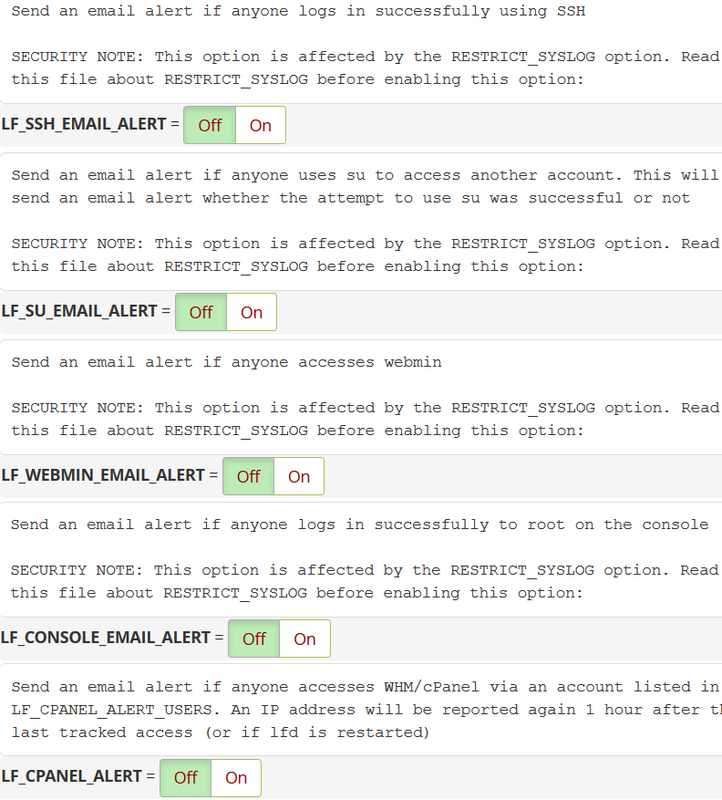 We suggest adding comments to all manual blocks in order to ease the troubleshooting process of firewall-related issues in the future. Any allowing or blocking rules for this IP address will be shown if such exists. NOTE: You can instantly unblock an IP address at the same page by clicking on the padlock icon next to it. In order to open a TCP or UDP port on your server go to Firewall configuration and locate TPC_IN/OUT and UDP_IN/OUT lines, after that add the port to the corresponding field after the comma. 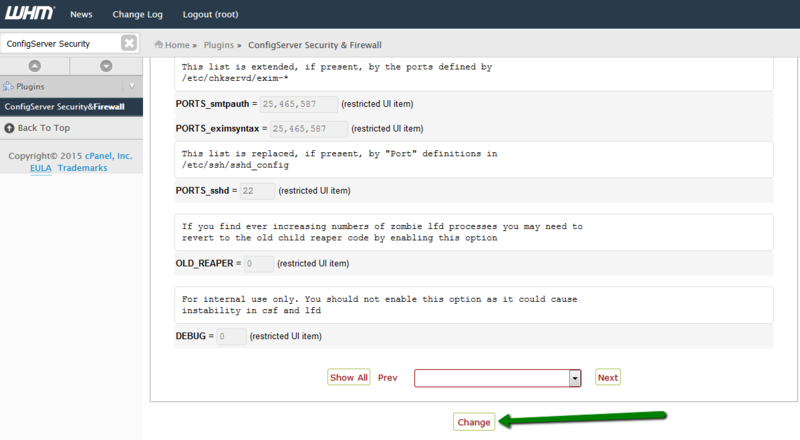 Click Change at the bottom of the page and restart CSF for the changes to take effect. For more information about other CSF features feel free to check the official usage guide.